Co-op Insurance, in partnership with Thatcham Research, has revealed the top five safest used first cars for young drivers. The Safety Used First Car Award – catchy name, right? – is based on a unique formula devised by the two organisations. Read to discover which cars put safety first. In order to be considered for the award, all cars must be a supermini or city car, have a five-star Euro NCAP rating, CO2 emissions of 120g/km or less, available to purchase used for £5,000 or less, and have a low insurance group rating. So while you can’t drive a Ford Mustang, the Kia Rio is within reach. Oh, you lucky things. According to Co-op Insurance, only 31% of young drivers say they consider safety when choosing a vehicle, while 75% of young drivers don’t know about vital safety devices including ESC (Electronic Stability Control) and AEB (Autonomous Emergency Braking). Meanwhile, the SEAT Mii finishes third. 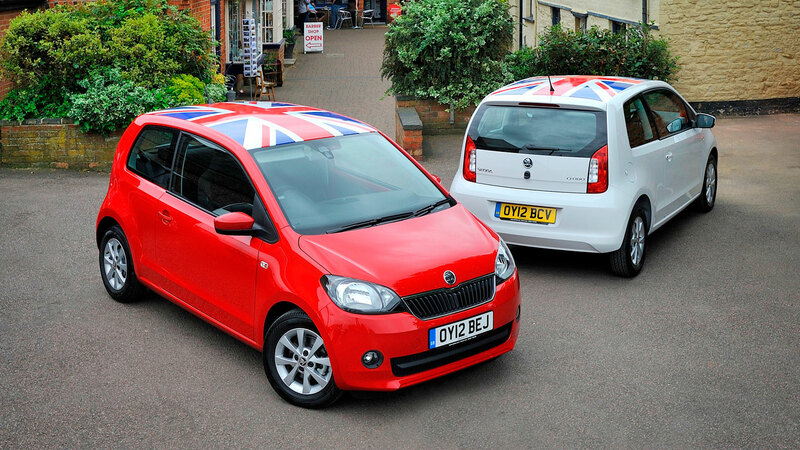 Yes, it’s the Skoda Citigo. Quentin Willson said: “Generally, first time drivers have less disposable income to spend on first cars and so price does become a priority, but just because they’re buying second hand doesn’t mean that they should compromise on safety.” Truth is, the Up, Mii and Citigo are probably the best city cars money can buy. But what if you’re all grown up and your first car is a dim and distant memory? Good news: Co-op Insurance and Thatcham Research has created a list of the top 10 safest used cars of 2017. To be considered, all cars must have a five-star Euro NCAP rating, CO2 emissions of 120g/km or less, and be available for £15,000 or less. Perhaps unsurprisingly, we find a Volvo on the list. 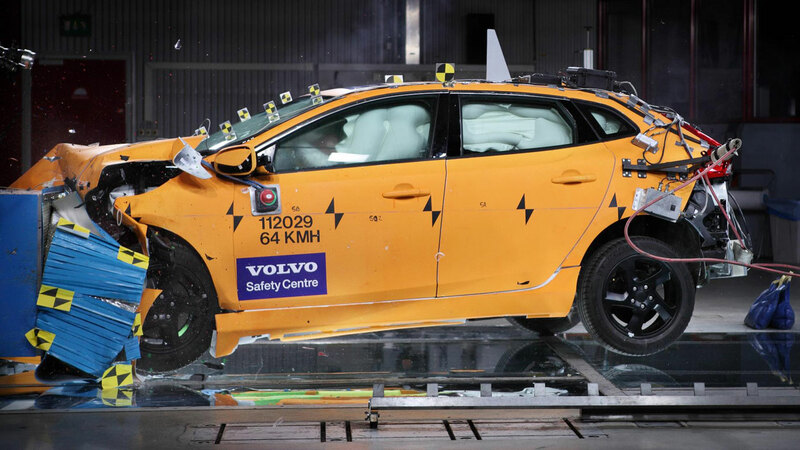 The V40 made the headlines in 2012 when it set a new record safety score in the Euro NCAP crash test. The five-door hatchback scored 98% for adult protection, with the V40 praised for its main structure, driver assistance systems and pedestrian safety. The Peugeot 308, a former European Car of the Year, was tested back in 2013 when it was awarded the maximum five-star safety rating. It scored particularly well for adult protection (92%) and safety assist (81%). Prices start from around the £7,000 mark. The Safest Used Car Awards were launched in 2016. Last year, the Nissan Qashqai finished third, but just like the Peugeot 308, it falls five places in 2017. Such is the popularity of the crossover, there’s no shortage of Qashqai models for sale on the used market. All cars in the Co-op awards were evaluated for crashworthiness, including ratings for adult and pedestrian protection, ESC as standard and the availability of AEB. The Volkswagen Golf is a new entry in the 2017 awards. Matthew Avery, director of research at Thatcham Research, commented: “Autonomous Emergency Braking and Electronic Stability Control are second only to the seatbelt in terms of being life savers. They are critical in preventing the most common crashes that young drivers have.” The Volkswagen Touran finishes sixth. The front-wheel drive 2 Series Active Tourer might upset the BMW purists, but it has done enough to impress the judges. BMW’s first compact MPV was launched in 2014 and used prices sneak below the Co-op’s £15,000 or less criteria. The Volkswagen Golf SV is the more practical version of the Golf hatchback and a replacement for the earlier model: the Golf Plus. In Europe, it is known as the Sportsvan, hence the SV. Not that there’s anything remotely sporty about this Golf, but at least it offers more hat room. Without wishing to go all ‘Top of the Pops’, the Mazda 3 climbs three places in the 2017 chart. It’s one of the most underrated cars in the family hatchback segment and as such makes a great used buy. A 2014 model could set you back as little as £7,500. Wait, haven’t we seen the Volvo V40 already? This time, the family hatchback is fitted with the optional safety pack, cementing its place at the top of the Co-op chart. Quentin Willson didn’t provide a quote about the V40, but if he did he’d probably say “jolly well done, Volvo”. Wild new Aston Martin Vulcan AMR Pro kit revealed Vignale verdict: is this posh Fiesta really worth £20,000?